New Delhi: Dr. Tahir Mahmood – Distinguished Jurist Chair, Professor of Eminence & Chairman, Amity Institute of Advanced Legal Studies was awarded with prestigious “Prof. 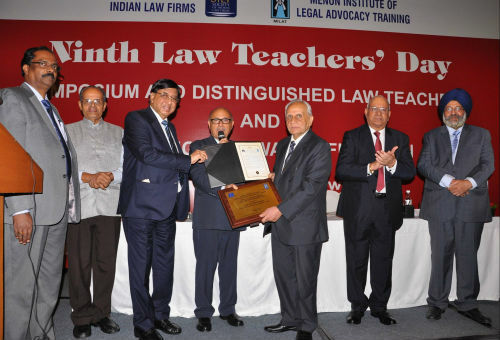 N R Madhava Menon Best Law Teacher Award –2017” in recognition of his distinguished services to legal education and legal profession during the Ninth Teachers’ Day Award Function organized by Society of Indian Law Firms (SILF) and Menon Institute of Legal Advocacy Training (MILAT) today in Delhi. During the occasion, distinguished legal educators, Lawyers, Jurists and students were felicitated with “SILF- MILAT Legal Education Innovation Award- 2017”, “SILF- MILAT Institutional Excellence Award”, “Prof. (Justice) A. B. Rohatgi Jurist Award”, “SILF- MILAT South Asian Jurist Award” and “Best Law Students Awards” by Padmashree Prof. N.R. Madhava Menon, Hony. Professor and IBA Chair on Continuing Legal Education, NLSIU, Bangalore, Prof. Ranbir Singh- Founder Vice-Chancellor of National Law University, Delhi; Senior Advocate- RS Suri- President of the Supreme Court Bar Association (SCBA) and Prof. Siva Kumar-Member, Law Commission of India. Also, present during the occasion was Dr. Ashok K Chauhan- Founder President, Amity Group. Welcoming the distinguished awardees and dignitaries, Mr. Lalit Bhasin- President, SILF and President, Bar Association of India expressed that the Award Function is a day of celebrations as well as of introspection for Law schools and legal fraternity to ponder how they can carry out the responsibility of teaching students in a better manner and how they should prepare students so as to make then ready for law profession. He averred that in globalized world, it is important for Law students to mingle with their goal counterpart and exchange their views and suggested that Lawyers must acclimatize themselves with the contemporary developments happening in the field of law across various countries. Senior Advocate RS Suri, while sharing his views, opined that most of the learning takes place by 22 years of age and subsequently, the knowledge gained builds up. He advised students to use the most productive time of their age judiciously so as to reap the benefits throughout their lives. He averred, “there is a dearth of role models in Law” and budding lawyers should aspire to become role models for successive generation of lawyers. Addressing the gathering, Prof. Madav Menon said that SILF started with Best Teachers Awards in the beginning and later on, categories of Institutions, Jurists and outstanding students were included. Just like other professions, India has lot to offer in legal field and Indians have all the potential and talent to change Indian legal scenario in the coming years. 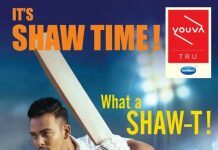 Law is, now, recognized as area and profession for talented students. He suggested that it is important for legal fraternity to update law educational Institutions about their expectations from budding lawyers so that the students become practice ready even before they step outside the Institutions. Delivering his acceptance speech, Prof. Tahir Mahmood – Distinguished Jurist Chair, Professor of Eminence & Chairman, Amity Institute of Advanced Legal Studies expressed his gratitude for receiving the Award and stated that the honor bestowed upon him is very special and nostalgic because the award bears the name of very celebrated legal luminary-Prof. N R Madhava Menon. He also expressed his gratitude to the members of the jury and the members witnessed the special moment of his life. Former Chief Justice of Srilanka- Hon’ble Peter Mohan Peiris, while accepting SILF- MILAT South Asian Jurist Award, stressed, “We as educationists appear to falter in our style of delivering education to students. While teaching them the skills to be adopted in the profession, we follow a pure analytical approach than focusing on moral values. Our students seem to be suppressed in moral concerns and distanced from emotions and values.” He suggested remodeling the policy of education to ensure that Law does not only supports Politics but ensures that Law works justly. Dr. T.K Vishwanathan was conferred with Prof A.V Rohatgi Jurist Award 2017, Prof. Tara Prasad Sapkota- Dean of the Faculty of Law, Tribhuvan University of Nepal and Former Chief Justice of Srilanka- Hon’ble Peter Mohan Peiris were awarded SILF- MILAT South Asian Jurist Award. Ms. Ekakshara from Symbiosis Law School, Pune and Mr. Kiran Monoharan from Sastra University, Tamil Nadu were given “Best law students of the Year Awards”.